A few weeks ago I started this blog on what makes your mentoring programme successful. I gave you three initial tips which will help you to substantially ' up the ante' on any mentoring programme, so if you have not had the chance to read it yet, please do so before reading today's blog as it will give you a much more comprehensive overview. For part 2 of the blog, I am going to discuss three additional tips that can make the difference between your mentoring programme barely surviving, 'plodding along', or indeed fizzling out and ....sustainable, long term success! TIP #1 MIND THE MATCHING! This could actually take the entire blog as it is such an important aspect. How do you go about matching mentees and mentors once they have been recruited? Lets face it, mentoring is NOT an exact science so whatever you do you can expect that a small dose of 'best guess' will be required. 1. Make sure you have no personal history between mentor and mentee. If they are both internal to your company, ensure you are aware of any past event that may jeopardise their relationship. Have they worked together on project and did not get along? Have they had an unpleasant exchange during a meeting? Have they been in a manager-staff relationship that did not work? Do they have any other cultural or personal reason why they may not get on well together? If any of this is known to you or if you have any question mark about it try to investigate further and if in doubt, do not match! 2. Set up and communicate matching criteria. Mentee and mentor need to know why you think it is a good idea for them to work together. They have also have to know that you as a sponsor/administrator have clearly thought it through. Criteria can be based on knowledge, experience, background, future objectives and/or a mix of all these and more. Alternatively, you can ask your mentees whether they have anyone in mind to use as their mentors and discuss whether they are indeed right for the assignments. But what if a matching does not work? It is always helpful to have spare mentors that can be called upon if need be, as it is likely that 5-10% of relationships may be unsuccessful. There must be no finger-pointing here, just the realisation that something is not working and needs addressing! 3. Create 'open days'. This can be an easy way to ensure your chances of matching success. By inviting aspiring mentees and aspiring mentors to a social meeting in which they can meet and talk and get to know each other informally before the formal matching takes place you will encourage self-selection and you will begin to create a wider network for mentees and mentors to access. 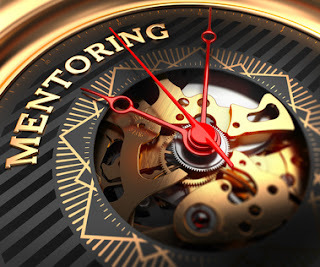 Many people believes that mentoring is intuitive and that a couple of articles on the subjects will make mentees and mentors savvy and knowledgeable enough to embark on a successful relationship. Far from intuitive, the mentoring ethos can be quite a struggle for managers who are used to telling rather than asking questions. So ensure that mentors have come today for at least half day, better still a day, of mentoring skills training and the possibility o ask questions about the initiative. The more time you spend on the training and on giving the mentors an opportunity to test their mentoring skills in a safe environment, the better the chance of a healthy relationship developing when the matching has officially taken place. For mentees it is also critical that they are they are inducted into the programme. The focus here should be on understanding on how mentoring works, what they wish to achieve by the end of the programme and how to manage/take ownership of the relationship. TIP#3 MONITOR. REVIEW. ADJUST. REPEAT. Monitoring how your mentoring programme is going is important to ensure couples are actually getting together and mentees making progress on their objectives. The thing is, work will become busy, business travel will take staff elsewhere and it will be relatively easy for appointment to be skipped...so you need to keep on top of that and ensure there are alternatives ways in which mentor and mentees can meet, be it phone, skype or email. Keeping momentum on a mentoring programme is not an easy task. To ensure it stays at the fore front of mentors' and mentees' mind it can help to send remnders or updating emails, organise additional social events, set up a bulletin, interview participants...and so on. If you have established key performance indicators (KPI) at the outset, it will be helpful to take stock about half way through a programme and see whether they are being impacted positively. If that is not the case, it will be necessary to review and investigate why and take actions to address any latent unhappiness or obvious shortcomings. This is particularly about mis-match or lack of commitment on the part of the mentor or mentee. So I hope that by implementing these 3x2 tips your mentoring programme will flourish. It will be good to hear from you about what you have found works well....And if I can help in any way to succeed, as I have done with the likes of Imperial Business School, KPMG and Surrey University I will be only too happy to help!